Kindle Fire HD 7-inch 16GB Version Is Here Today! If you are looking forward to the Kindle Fire HD 8.9-inch version or any larger capacity items, you’ll have to wait just a bit longer. For the rest of us? The 16GB 7-inch Kindle Fire HD is officially available today. What do you get with the newest member of the Fire family? The Kindle Fire HD 7 features a 1.2GHz dual-core OMAP4460 processor, a 1280×800 display with advanced anti-glare tech, stereo speakers that are considered the best on the market, 1GB of RAM and 16GB storage. Like previous Kindle Fire ranges, there is no Google Play- instead you get the Amazon AppStore with it’s 50,000+ apps (versus 500,000+ for Play). The 7-incher is by far less impressive than the 8.9-incher that uses a faster processor that even outpaces the Tegra 3. This model has a processor that is actually slightly slower than Tegra 3, but other than that isn’t much different than its larger-screen brother. Kindle Fire HD: Should You Get It? The Fire HD 7-inch model might be here, but it is worth it? At $199 you have many other options such as the Nexus 7. We have yet to see an iPad Mini, but that could be a competitor in the future as well. Here’s the bottom line, it depends on what you are looking for. Do you buy from Amazon a lot? If you use their shopping service, getting PRIME gives you free two day shipping and opens you up to a bunch of great streaming and other content for your Kindle Fire HD. The amount of videos isn’t quite up to par with Netflix, but it’s slowly attempting to catch up. Without Google Play and the full Android experience, the Fire HD is a media consumption device- period. If you want something with a bit more flexibility than the Nexus 7 is the better deal since they cost the same. 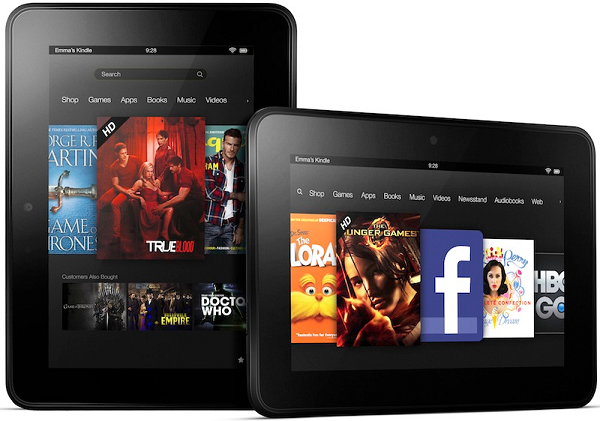 If you are into using Amazon services, the Fire HD might be right for you. For most users, it might be worth it to wait until November 20th and go for the more powerful $299 Kindle Fire HD 8.9. Who knows, by then we may even finally learn something solid about the rumored iPad Mini.